Here’s a short film (8 minutes), “The Stanford Medical Youth Science Program” (SMYSP). The program invites high school seniors, usually from lower income areas, to spend five weeks in a summer dorm program learning some basic medicine, with the idea of future medical school in mind. The video dates back to 2010, but there may be a newer one. NBC4 (NBC Washington) had announced on Tuesday, July 26 that it was going to show a report on teens and medical school, but the report never surfaced. I think it may be related to the Stanford program. 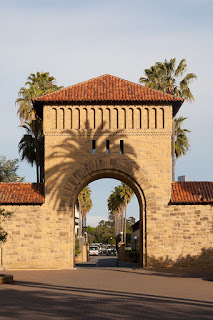 Wikipedia attribution link for picture of Stanford main quad gate by King of Hearts under CCSA 3.0 , 2011. Vox: "America's Gun Problem: Explained"